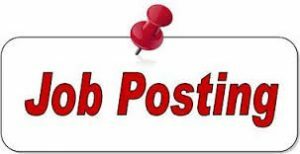 The Emergency Services Facilitator is a full-time position at the Paducah Cooperative Ministry, responding to basic human needs in McCracken County citizens through a variety of comprehensive services. 1. Working with teammates to provide services to homeless individuals and families, including first response, assessment, case management, life skills training, documentation and assistance transitioning into stable housing. 2. Working with teammates to assess needs and provide assistance to eligible individuals requesting emergency food assistance or financial aid for urgent life situations such as rent, utilities or prescription medications. 3. Serving in all ways as an advocate and positive representative of PCM to community members, donors and volunteers of PCM’s programs and policies as well as the diversity of needs to which PCM responds. 1. Must have a BS degree in social work, psychology, counseling or other human services related field. No Comments to "Position Opening: Emergency Services Facilitator"